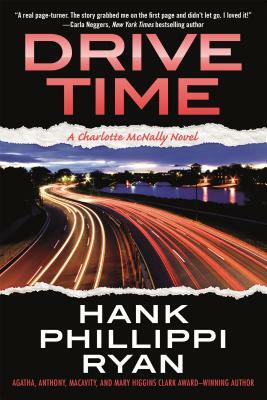 Drive Time: the Agatha and Anthony nominee from bestselling author Hank Phillippi Ryan, now back in print! Investigative reporter Charlotte McNally is an expert at keeping things confidential, but suddenly everyone has a secret--and it turns out it is possible to know too much. Her latest scoop--an expose of a counterfeit car scam, complete with stakeouts, high-speed chases and hidden-camera footage--is ratings gold. But soon that leads her to a brand-new and diabolical scheme. Charlie's personal and professional lives are on a collision course, too. Her fiance is privy to information about threats at an elite private school that have turned deadly.